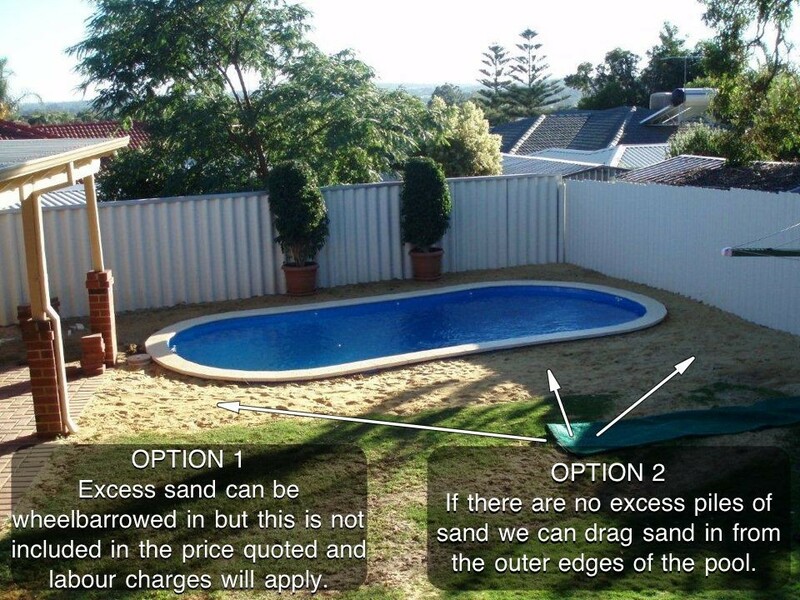 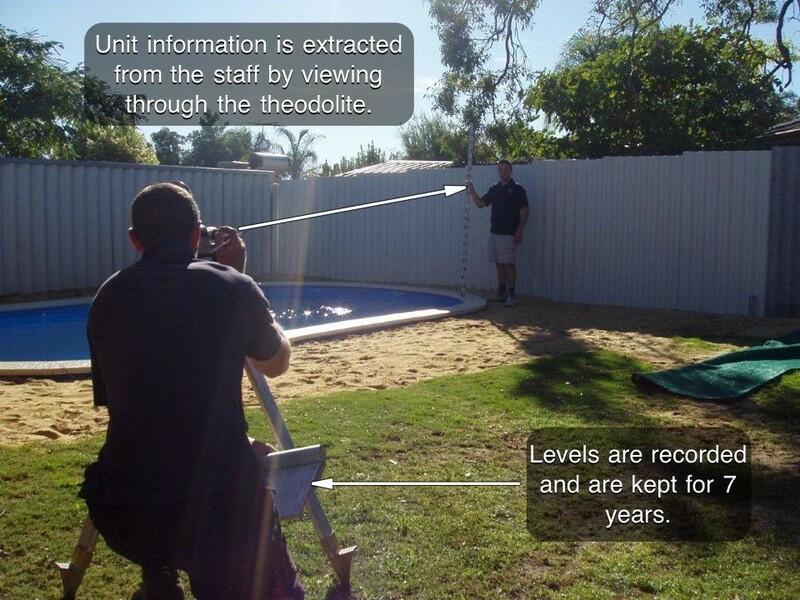 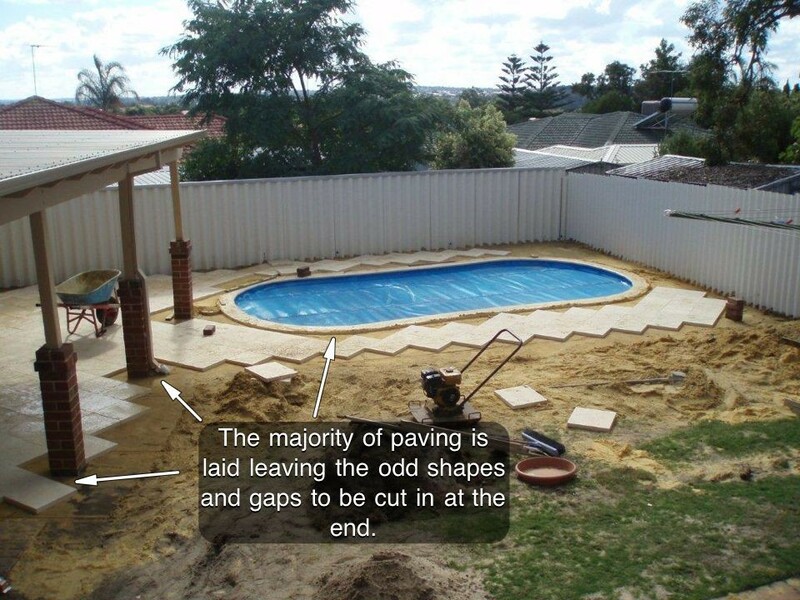 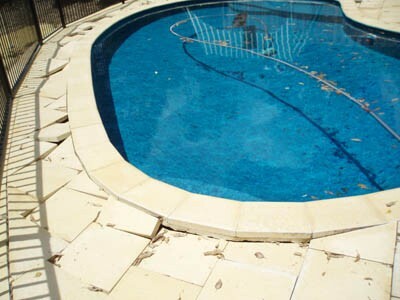 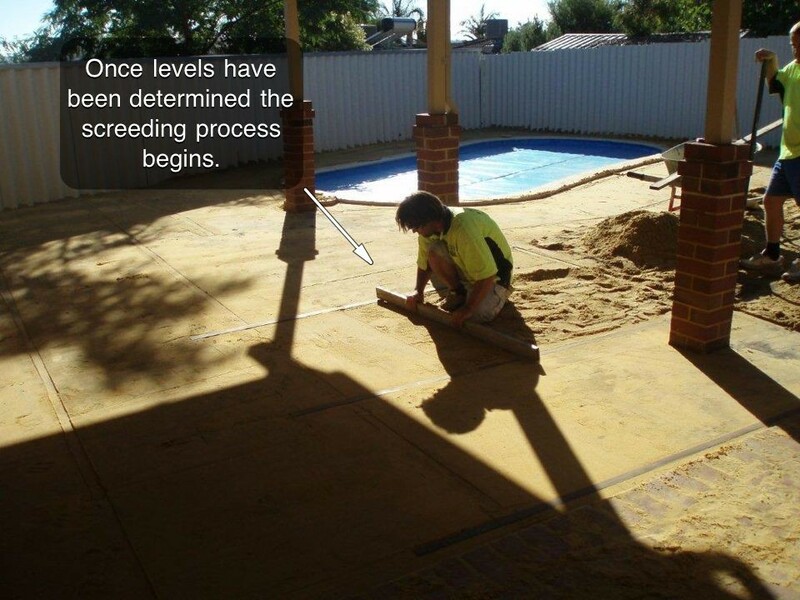 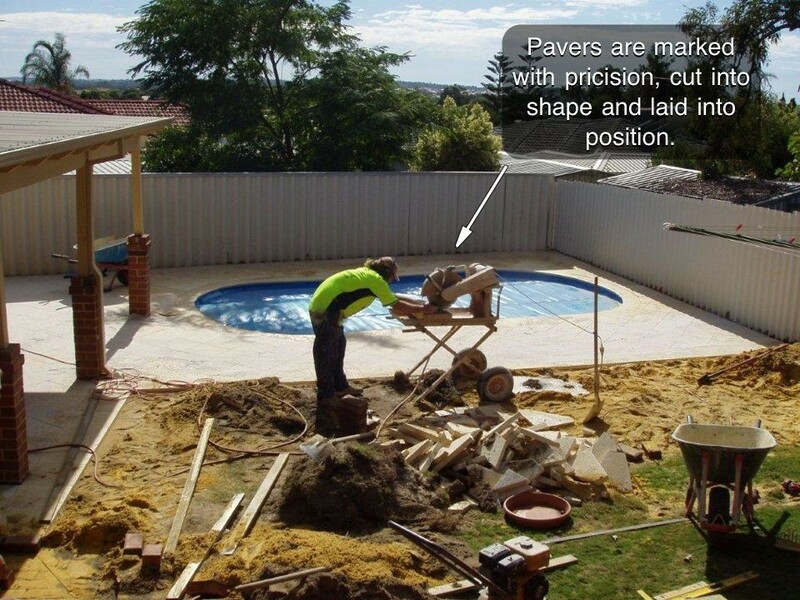 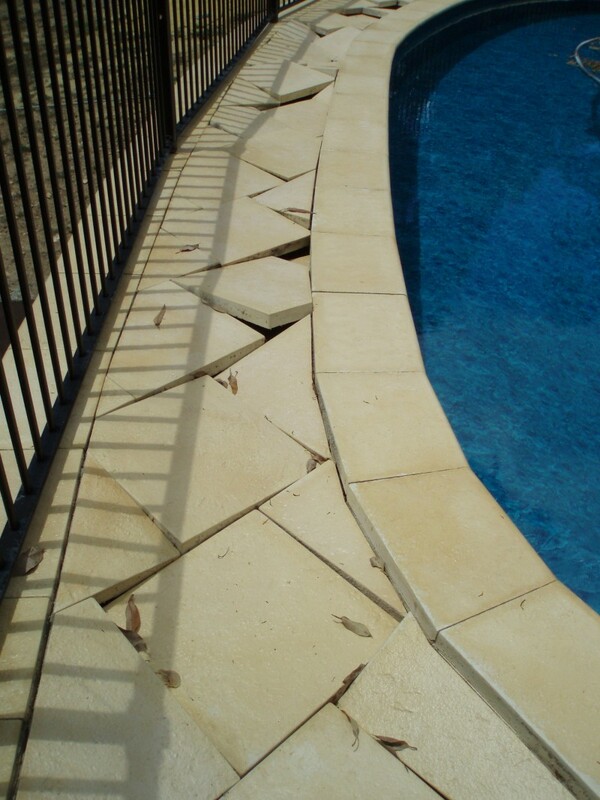 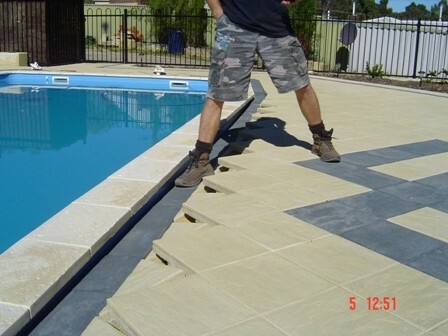 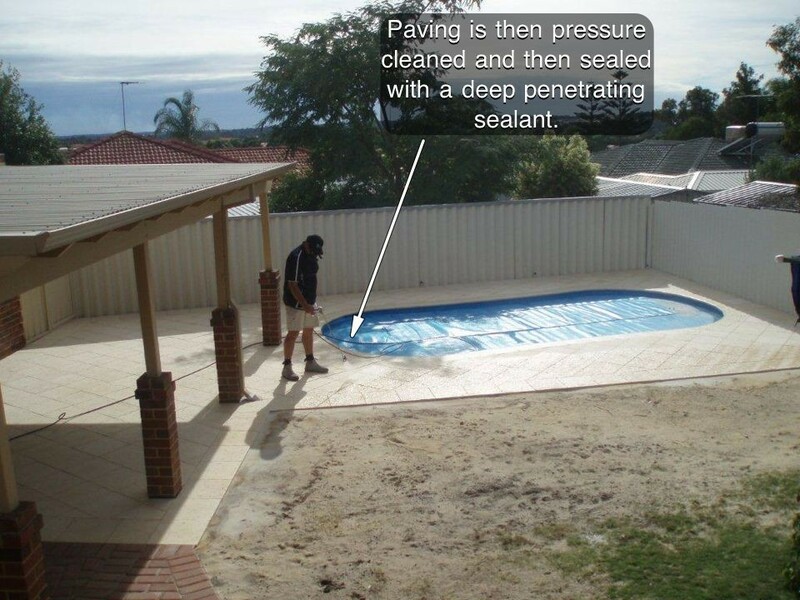 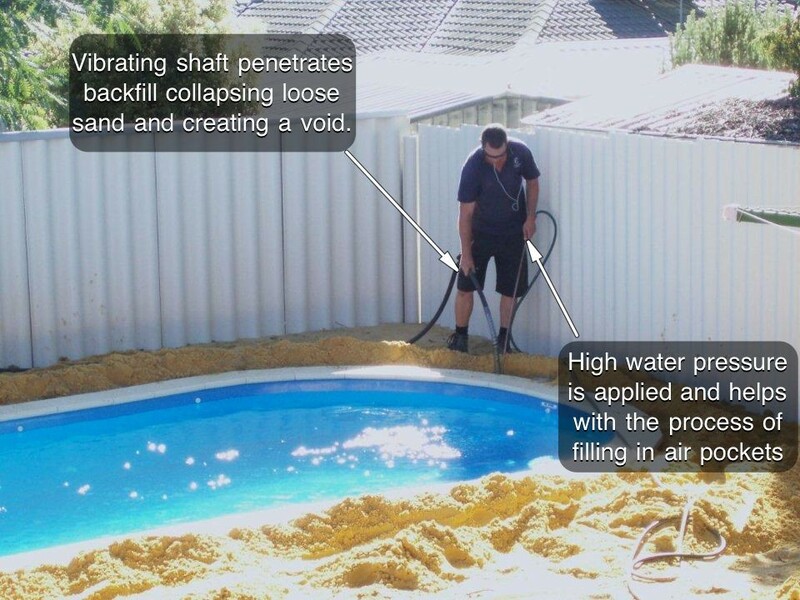 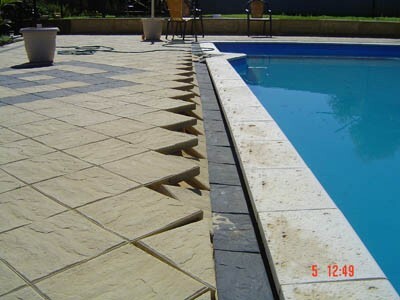 It is very important that before paving commences around any pool that all unearthed sand which hold air pockets receive Pencil Compaction thoroughly too eliminate cavities which could cause paving sinkage and pool misalignment at a later date. 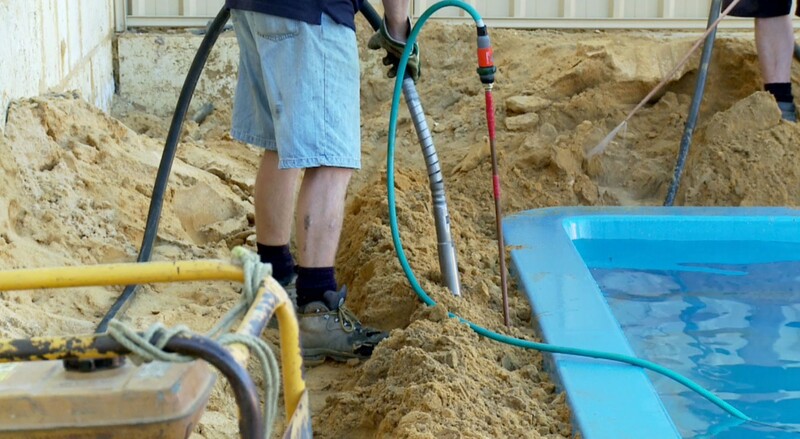 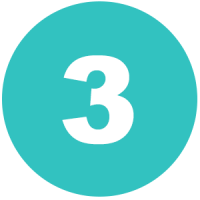 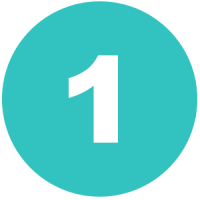 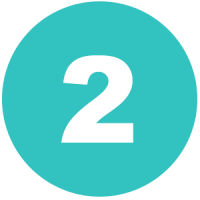 Without compaction an average size 8 metre pool requires up to 35 hours of saturation below the surface in order for air pockets and cavities to be filled in over a six week period. 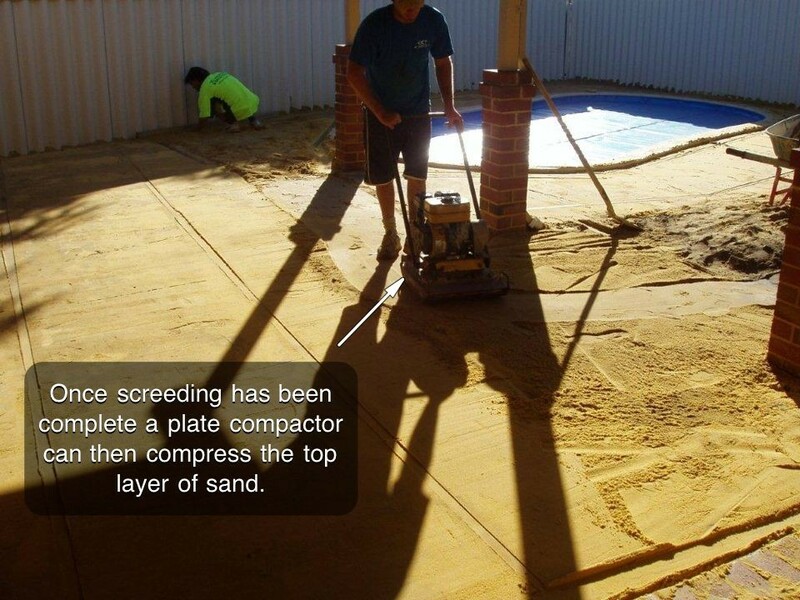 This works out to one hour of labour and approximately 800 litres of water per day, with still no guarantee that paving will not collapse in the future. 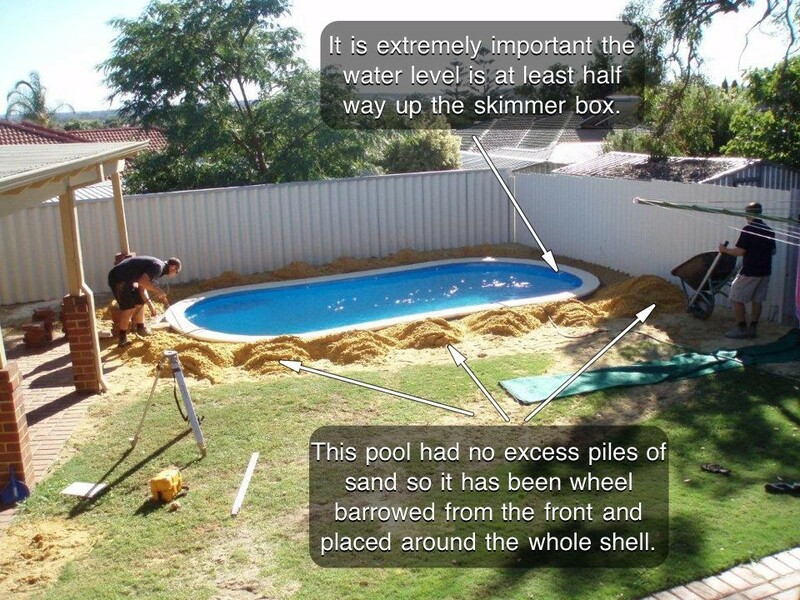 There is now a safe alternative to save you time, effort and water. 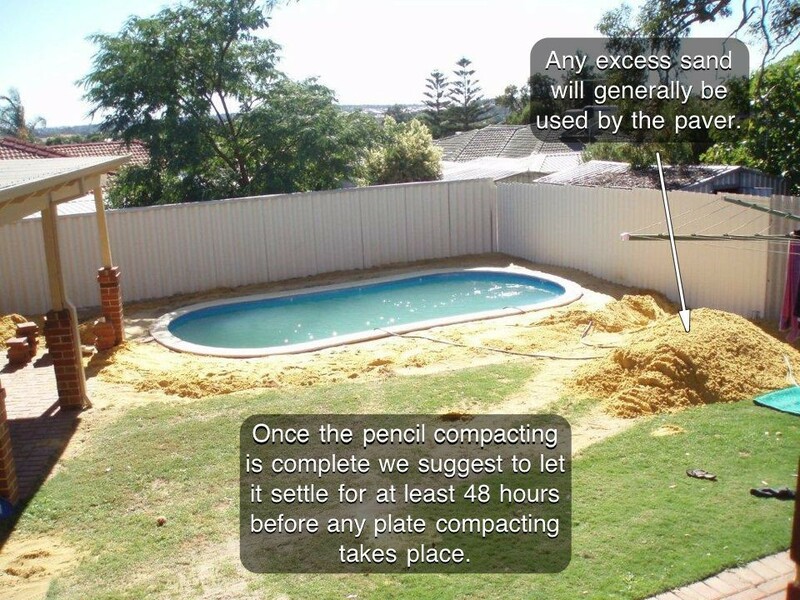 Pencil Compaction is done in less than one day and gives you the peace of mind that the job will be done right the first time with the guarantee that your paving/landscaping will not sink in the future.